Enjoy premium services here along with roof-top dining are! Mafroosha Corporate Suites is the right choice of travellers visiting Bangalore for any type of trip. 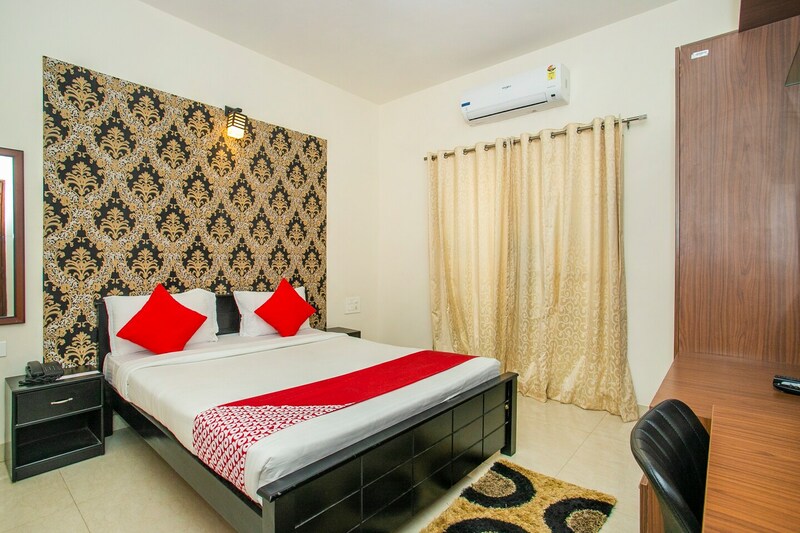 The rooms are bright and spacious, making for a delightful stay. The beautiful texture on the walls gives a glow to the decor of the room. The room is decorated with wooden finishing and furnishing for a relaxing and pleasant stay. The open-air dining area is a fine place to relax and enjoy your food with city views. Free internet access is provided to catch up with work or stay connected to your social media accounts. CCTV cameras ensure the security of your stay. Power backup and parking facility is also available here.